Did you know that you can now contribute to Mana’o Radio by shopping on Amazon.com? 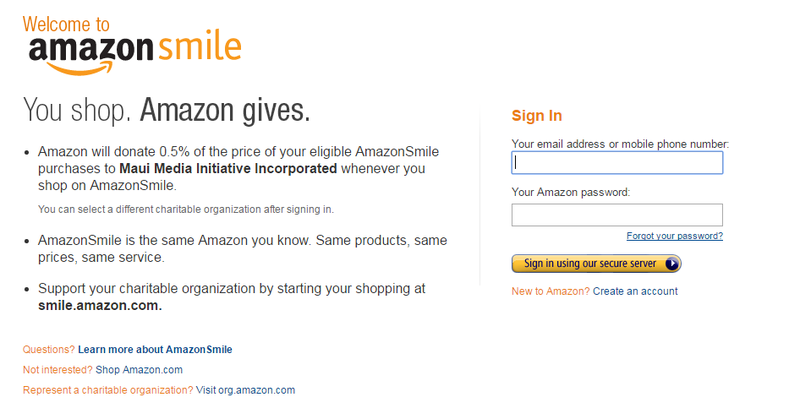 Each time you shop online at Amazon, do so at smile.amazon.com and select Mana’o Radio’s non-profit organization “Maui Media Initiative”. A portion of the price of your eligible purchases will be donated to Mana’o Radio!